Elsa has recently fulfilled two ambitions – to open her own café on the seafront at Heronsburn, and to learn to ice skate at the local rink. But her life is turned upside down on the day she takes part in her first competition and bumps into her teenage sweetheart, Daniel, at the ice rink. There is still a spark between them, but she is torn. Is she opening herself to having her heart broken again? What’s more, Daniel might have something to do with the sinister goings on at the ice rink, which started around the time he became involved in its running. Can Elsa keep her cool and prevent herself from falling on ice? Contemporary romantic suspense novel Falling on Ice was originally published in paperback by My Weekly Pocket Novels. A collection of sixteen of my short stories, previously published and new, all woven with the theme of romance. They explore a wide array of emotions, relationships, and settings; Some take place in modern times, or within living memory; others hark back to the earlier years of the twentieth century. All the entries in this anthology have been lovingly crafted to entertain the reader and provide a few moments of escape. ​Published on 1st November 2016. Available on Amazon Kindle and as paperback. Injured dancer Sonia Landale returns to her family home in the Durham countryside to find that her cousin Juliette is dead. How can she stop herself falling for her cousin's estranged husband, Lewis, the very person she suspects may be responsible for Juliette's death? 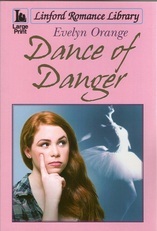 Dance of Danger, a contemporary romantic suspense novel, was originally published in 2013 by My Weekly Pocket Novels. This format is no longer on sale, but the Kindle edition and large print edition can be purchased on Amazon. In 2014 Dance of Danger was published in Large Print, Ulverscroft Linford Romance edition. In libraries and also to buy on Amazon. On the eve of V.E. Day 1945, six-year-old Alexandra Graham is torn from her comfortable wartime existence in Scotland, to begin an uneasy new life with her mother and a strange stepfather in Sheffield. As the years go by, she adapts to her new environment. But when she is fifteen Alexandra finds a lost family in the north-eastern ship-building town of Sunderland. This leads to a shocking discovery that casts a shadow over all her life to come. It threatens the love she finds, and makes her doubt her very identity. She must travel a long road paved with hope and despair, as she searches to uncover the truth and find the fulfilment that she desires. 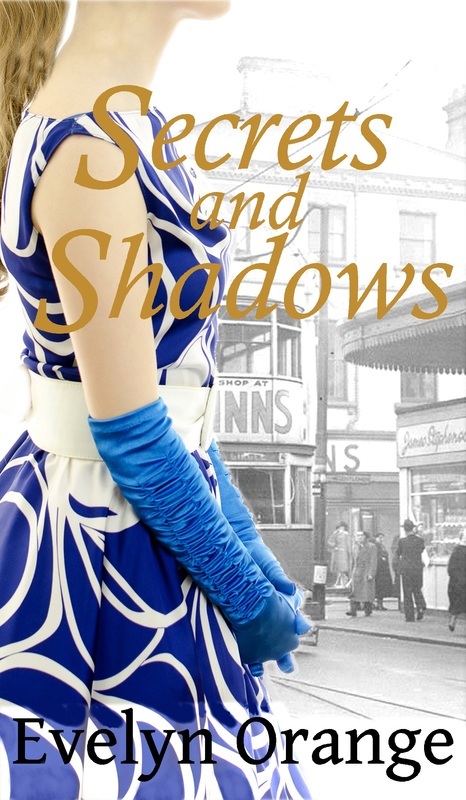 Set in northern England, London and Scotland, Secrets and Shadows is the story of two women following their hearts, and learning that running away is not always the answer. Secrets and Shadows is published on Amazon as paperback and on Kindle, and on Smashwords for other e-readers. 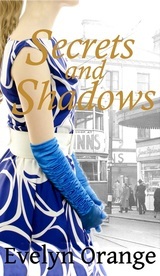 If you like a family story with secrets spanning the decades, this is for you. Follow the link below the cover image to buy a copy. Elizabeth Belmont grows up in Edwardian London dreaming of becoming a star on the music hall stage. But when disaster strikes, her widowed father must send her to stay with her mother’s starchy family in Sheffield. Against all odds she finally realises her ambition, becoming a musical artiste. It is an era of change, when women are fighting for the vote, but are still bound by convention and strict class values. Even as she rises up the bill, she is torn between the world of middle-class respectability and the free life of the theatre. Spurned by the man she loves, she is drawn into the clutches of a man she detests. Can Elizabeth break free and find the happiness she longs for? The ebook version of the Melody for Lizzie is available on Amazon for Kindle, and also on Smashwords for other e-reader formats. Follow the links to buy or to read a preview. Author's note: Melody for LIzzie was originally published in paperback by New Era Writers Guild. It was inspired by my love of music, theatre, and history. Although the paperback version of the novel is out of print, it is still possible to buy a new copy through Amazon. Click on the link to buy.